We are regular suppliers of automobile plastic components to major industries. With good quality systems and machines our team are increasing the business volume from this sector. Annual Turnover2015-16 Rs. 2-5 Crore Approx. We, Tooling Temple established in 1992, manufacture precision plastic injection moulds and injection moulded components. We have design centre, tool room and plastic moulding production facility. All under one roof is our strength. We have an experience of more than two decades in manufacturing moulds and dies. Experience in design & manufacturing of moulds for all most all sectors likes automobile, textile, electrical, electronics, defense, aviation, medical, household etc. Very good processing and production capability of all engineering polymers with latest machines. 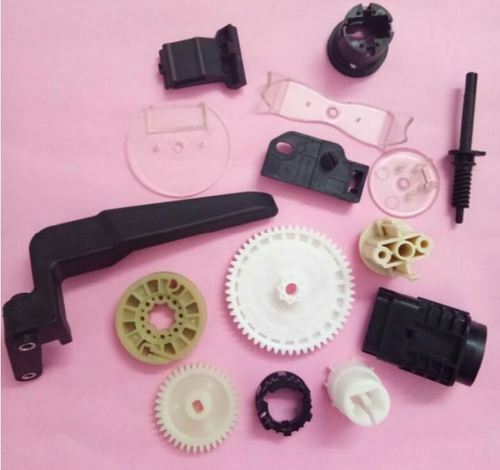 By constantly incorporating the latest mould making techniques and providing best services to our customers, our customers are giving repeated orders in this competitive market. Our range includes part modelling as per customer requirements, making prototype sample, manufacturing of multi cavity mould, production & supply of the component and sub assembly of components as per customer requirements. We have regular production of polymers like Nylon 6, Nylon 6.6, POM, Poly carbonate, Norayl, Acrylic, ABS, SAN, HDPE, LDPE, PP, Glass Filled Materials etc.